In 1897 Theodore Roosevelt was named assistant secretary of the navy just as the crisis with Spain over its colonial territories, especially Cuba, boiled over. 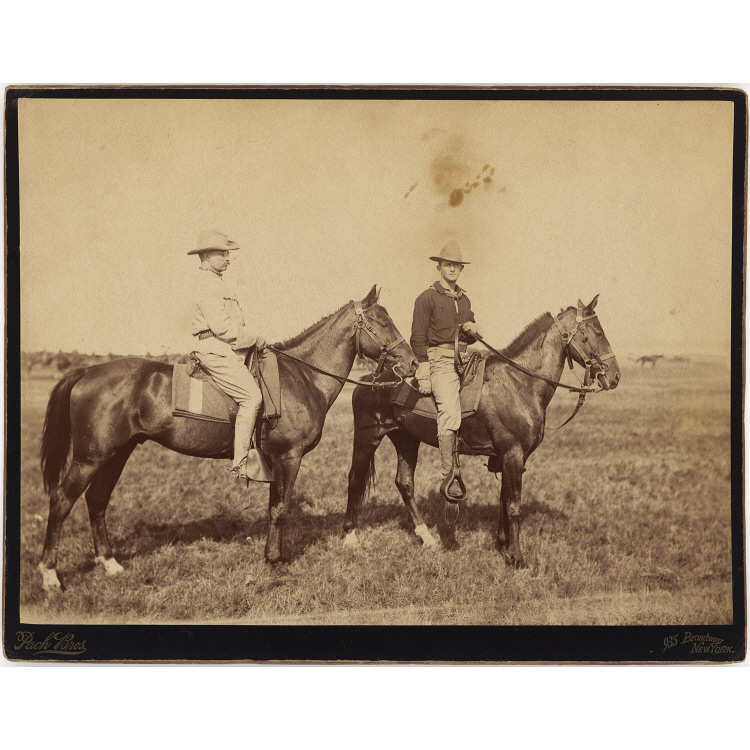 Roosevelt had advocated war with Spain, and with the outbreak of hostilities he suited action to word by resigning from the Navy and organizing a volunteer cavalry unit dubbed the “Rough Riders.” Roosevelt regarded war as the ultimate test of a man’s—and the nation’s—mettle, and he was eager for the fight. His charge up Kettle Hill in the face of enemy fire not only tested his valor but made him a national figure. Two weeks after the Rough Riders disbanded in 1898, Roosevelt was the Republican Party’s candidate for governor of New York.